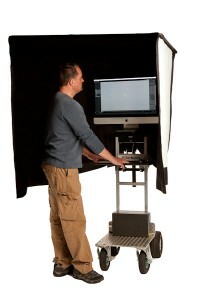 4′ x 4′ Digital Floppy – ($35/day or $140/week). A four-panel floppy with black interior and white exterior curtains that fasten together to create a darkroom viewing environment for your computer monitor. 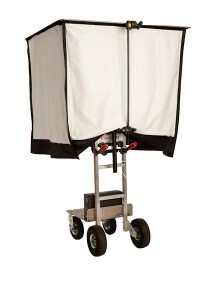 Perfect for shooting outdoors or in a studio where privacy is a concern. Easily mounted on a medium roller or on our Vertical Magliner Digital Cart.